The hair is beautiful and its so soft. It waves up when wet, which i absolutely love. Can't wait to install. I always get compliments on this hair. When my beautician was doing my sew in she asked where did I get the hair from because it was soft and she would think that it would be a great recommendation for other clients of hers that needed hair. It doesn't tangle, it's has longevity to it. Love the hair good quality, soft and very little shading when I run my fingers through it. I wish the hair will be fuller. 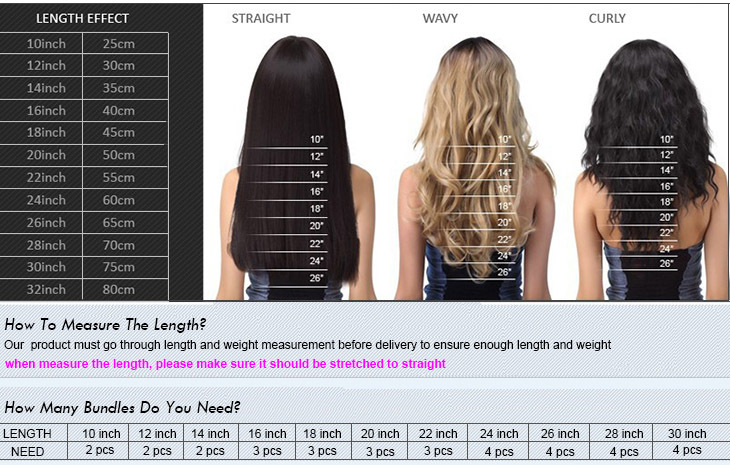 I love ordering hair from them. THE BEST!!!! I just received and it is gorgeous!! And I must say that its quality is far better than what I have expected. Love! Hair is very nice I made a wig and dyed it this color and it’s still soo soft, a little bit of shedding after I dyed it but not too much I really like it so far and it only took 3 days to come! Ive installed the body wave before & loved it! This is my first time getting the Brazilian straight hair & it feels amazing. Super soft and silky, no shedding! I can’t wait to install it. This was my first time ordering from this seller and I am very pleased with my order. I received it quickly and I bleached it and the hair is still soft and pretty.